Creative Networks is a monthly networking event that is free to creative professionals from across the creative, cultural and digital industries. They also host talks by high-profile speakers and I was asked to produce this promotional e-flyer, as an invitation to sign-up to the event. 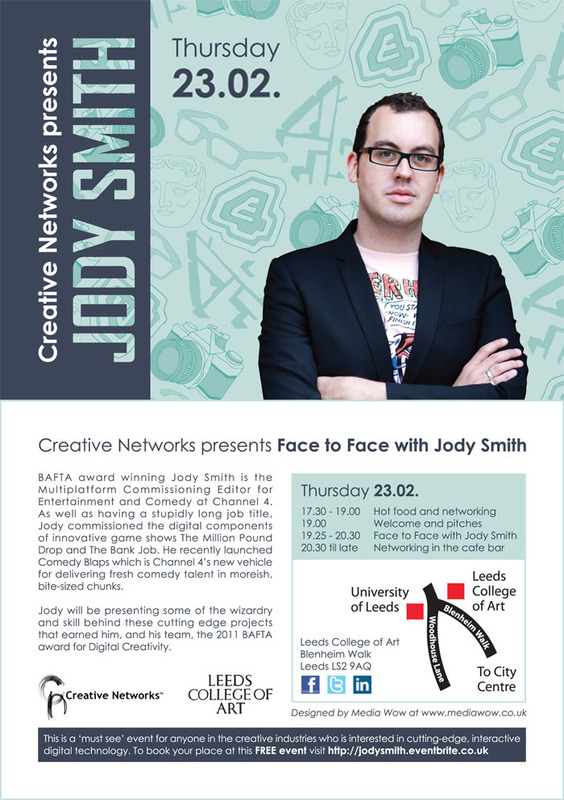 BAFTA award winning Jody Smith is the Commissioning Editor for Channel 4 and is also responsible for launching E4.com, therefore the design needed to reflect both his career and achievements. This is my old personal portfolio and I used it to demonstrate not only my ability in traditional art but also my expertise in digital design. 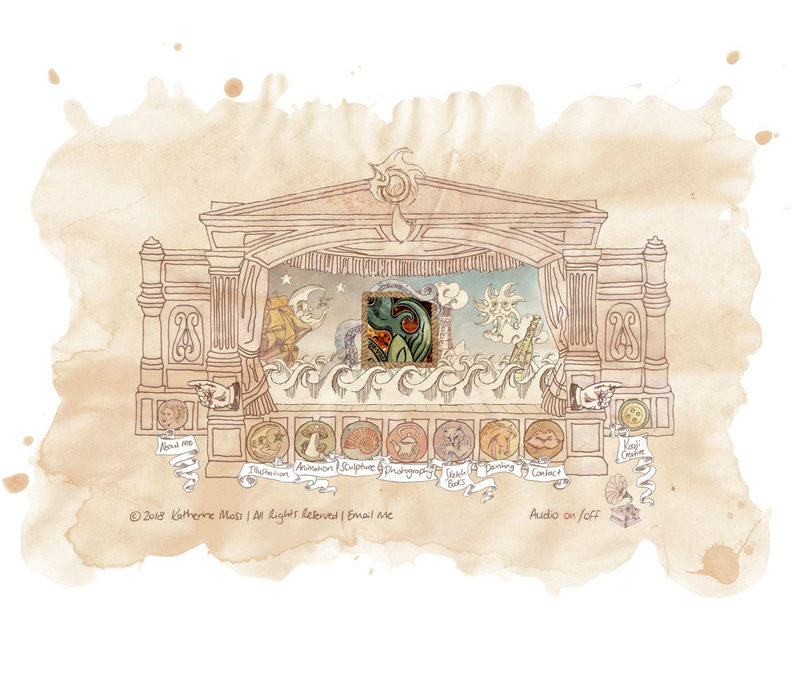 The toy theatre style interface housed all my creative collaborations, quirky experiments and a selection of my favourite sketch-books. 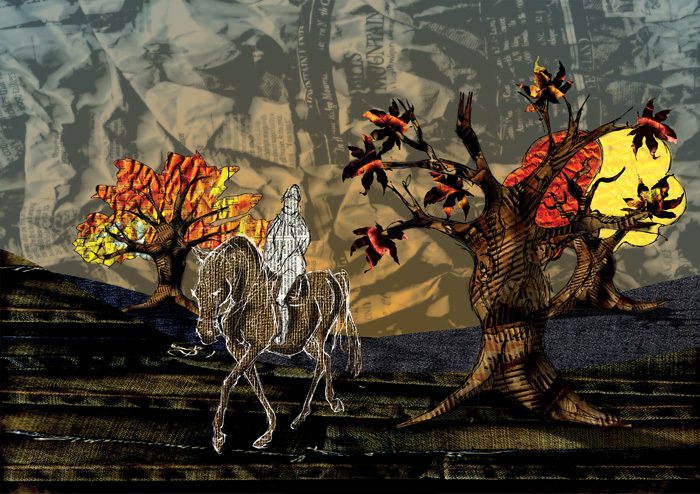 Each section of the site was found in a different scene from the show, all of which were inspired by fantasy and fables. It was intended to be a memorable, unique and interactive experience which left visitors wanting to know more about it’s creator. This project is still a favourite of mine and one that I will always be incredibly proud of. 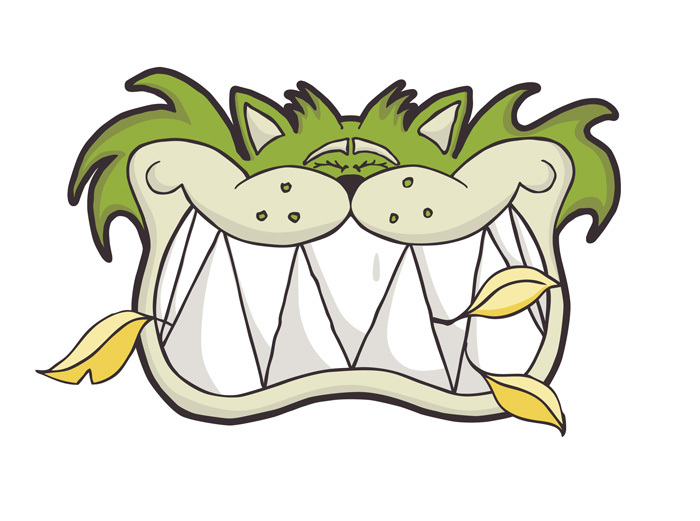 Whilst the technology used to create it (Adobe Flash, using Actionscript 3) has now moved on the creativity and the work that went into making this will stand the test of time. 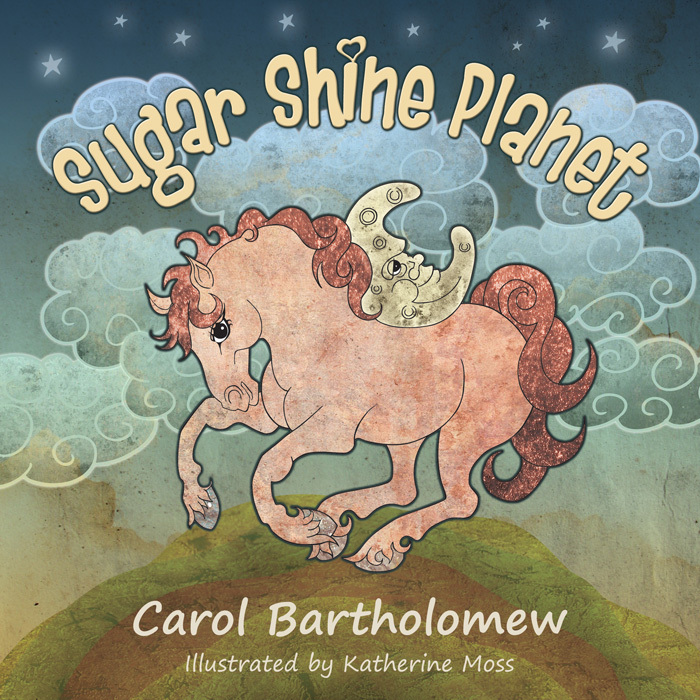 I was commissioned to design and illustrate the children’s book ‘Sugar Shine Planet’ written by Carol Bartholomew. The stories follow the adventures of a group of magical ponies and their friends on a world above the skies known as Sugar Shine Planet. He’s a cheeky chappy, with a gob full of canary feathers, although he would never admit that’s what they are! With this design I went for a nice friendly hand-drawn style. Created exclusively for the Kooji Creative Emporium and available to buy through Zazzle. 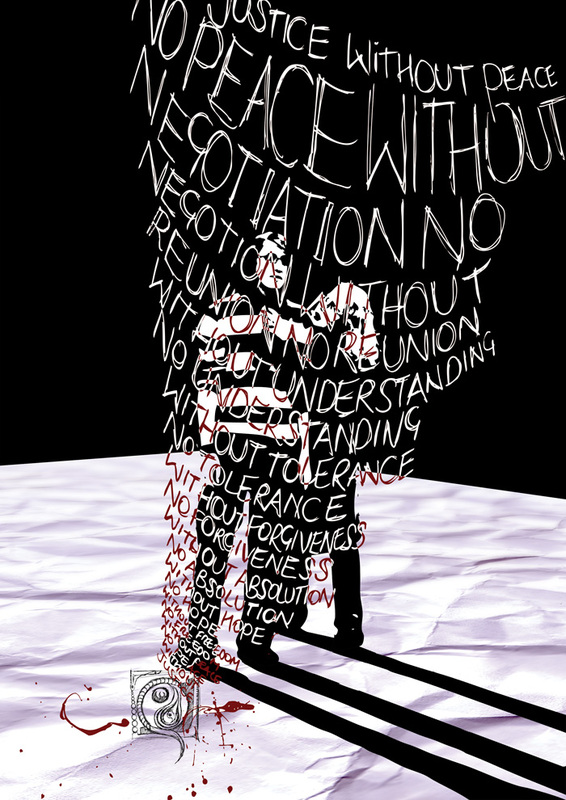 This illustration was inspired by the poem ‘Without Peace’ written by Ellen Haining and entered into the annual Peace Poetry Awards. The words reminded me of a vicious circle and conjured up imagery of peace and conflict. Johnny, standing patiently in the centre, represents the calming, peaceful side whilst I, spinning around in a dizzying state of unrest, represent the confused, agitated side. I submitted this piece to the Northern Design Competition as both a digital illustration and as part of a motion graphics video. This composition explores the theme of the organic and the synthetic. All the organic components that make up the image are comprised entirely of synthetic textures. I used photographs, scans, hand drawn sketches and computer generated imagery to create the artwork. I submitted this piece to the Northern Design Competition as both a digital illustration and as part of a motion graphics video (see the Animation section). The tutors on my Multimedia Technology degree were fantastic, always enthusiastic and supportive, so after finishing the course I designed this card to send to them all as my way of saying thanks. 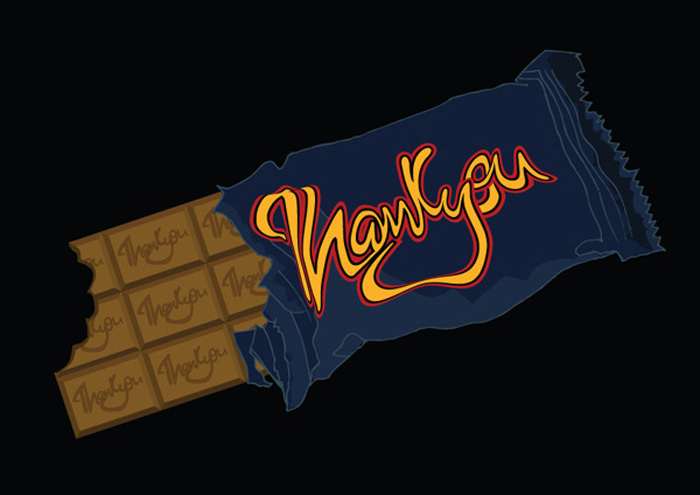 Nothing says thank you better than a nice, tasty (half eaten) chocolate bar! I really enjoy incorporating traditional mixed media in my digital artwork. 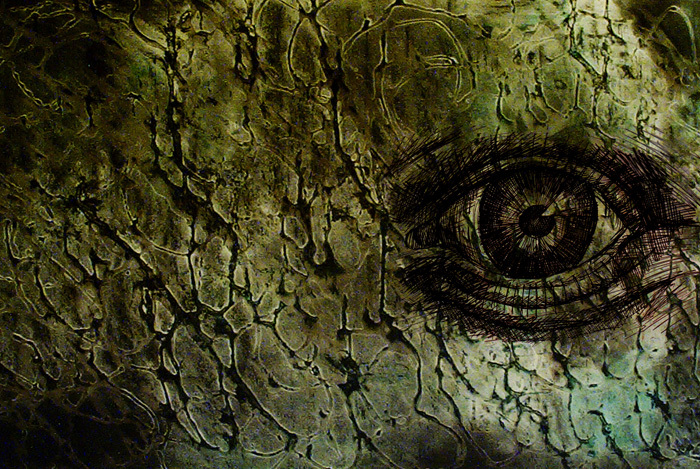 This illustration combines a texture I made using PVA glue and pastels and an illustration I drew in liquid pen. Bringing together lots of hand-made elements in this way allows me to experiment with compositions which aren’t always possible using traditional techniques alone.